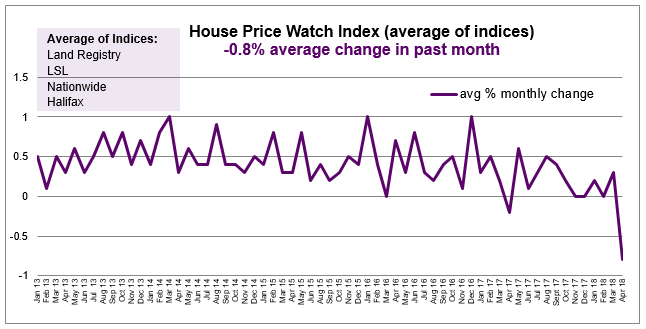 The average of the major indices indicates house prices have fallen over the past month (0.8%). The average rate of annual house price growth is steady (2.5%). (Rightmove is excluded from the average). Land Registry refers to March data. 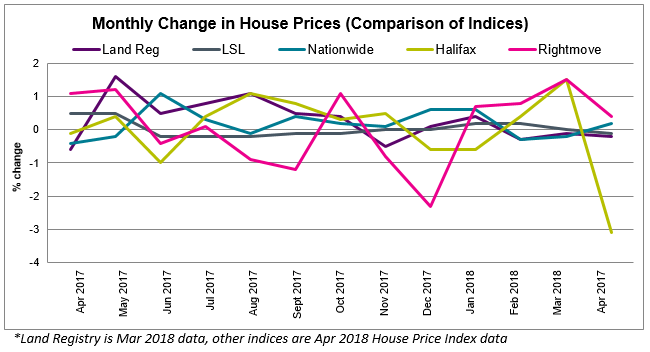 Other indices refer to April house price data. 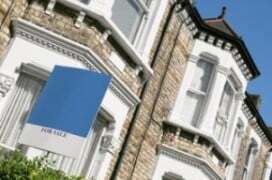 All areas except the East of England had a fall in monthly house prices. 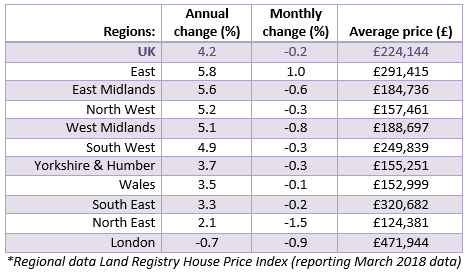 However, over the past year, house prices have risen everywhere except London (-0.7%). House prices are rising fastest over the past 12 months in: East of England (5.8%), East Midlands (5.6%), North West (5.2%), West Midlands (5.1%) and South West (4.9%). 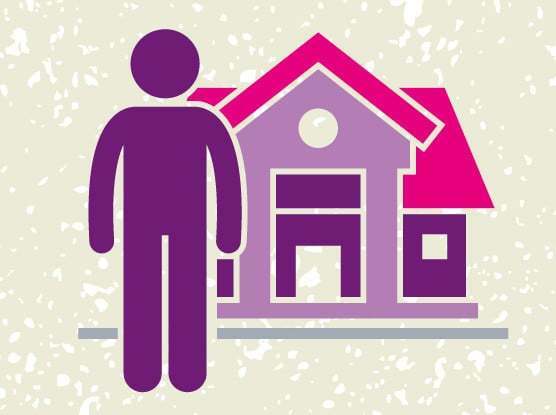 After 4 months of falling demand, the level of buyer enquiries held steady in April. New sales instructions continued to fall. 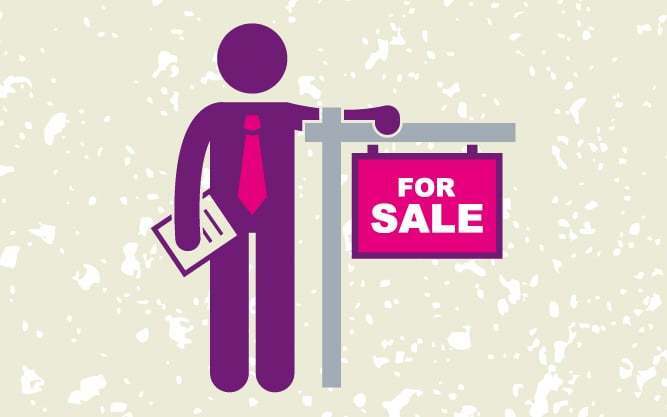 Consequently, average stock levels on estate agents’ books are at near record lows. Selling your home? We can help!